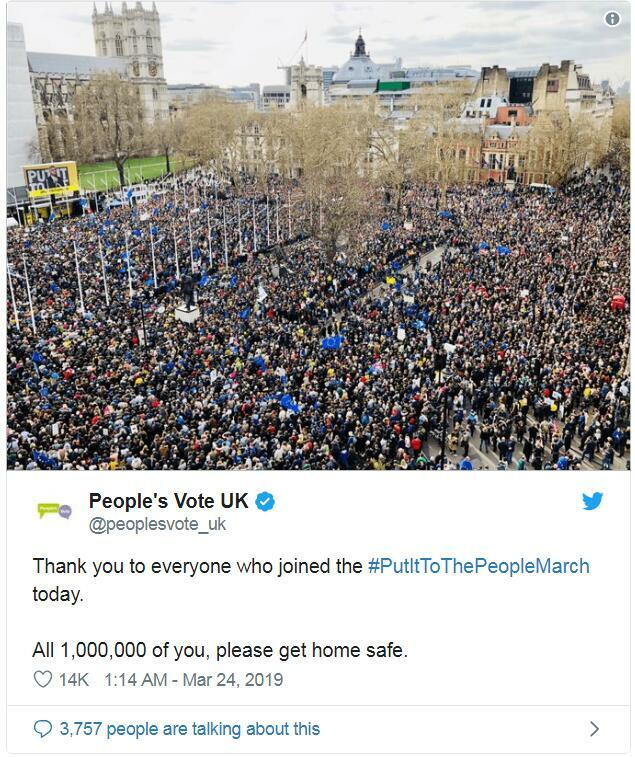 Organizers of the "Put It To The People" campaign say more than a million people joined the march before rallying in front of Parliament. 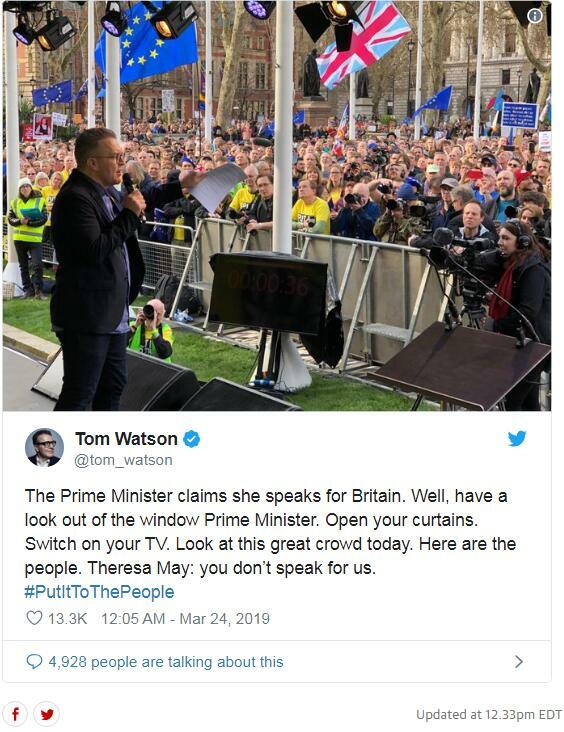 Speakers at the rally included Labour's deputy leader Tom Watson, Scotland's First Minister Nicola Sturgeon, London Mayor Sadiq Khan, and former attorney general Dominic Grieve. 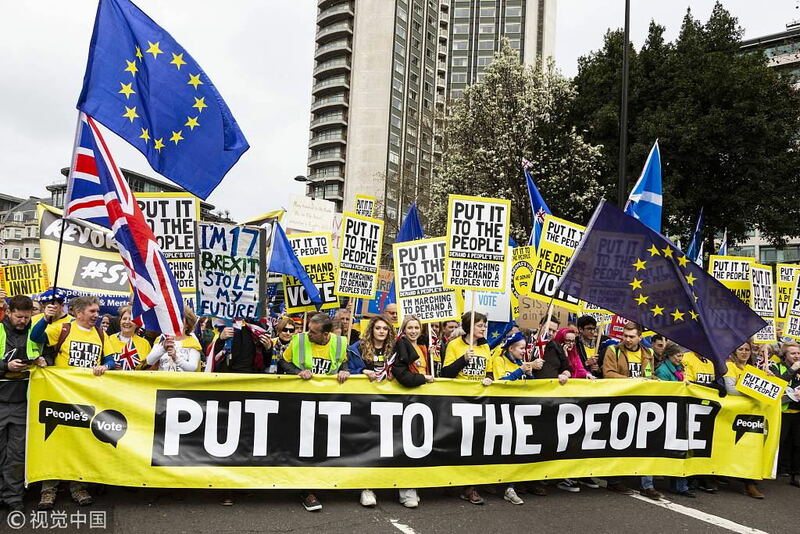 The deputy Labour leader, Tom Watson, has called for a people’s vote to reunite the country and decide the future together. 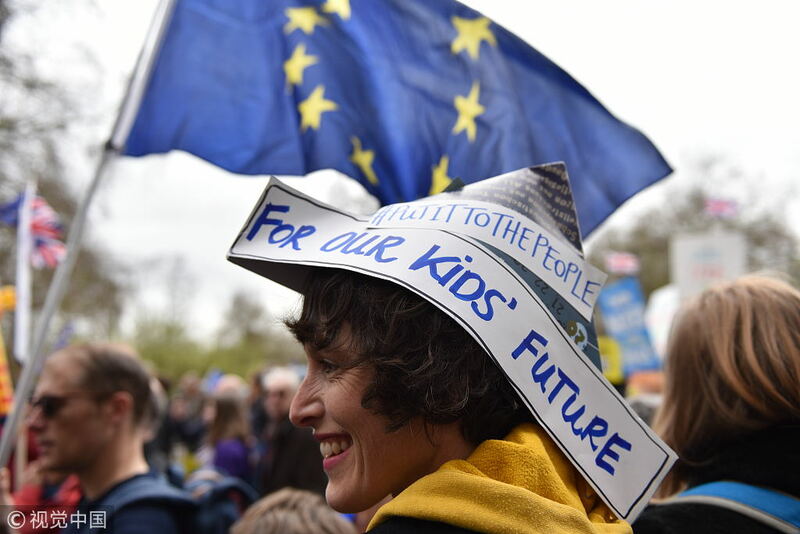 The petition asking the British government to revoke article 50 and reconsider its plan to exit the European Union has passed the 5m-signature mark, following a massive demonstration in London on Saturday. Over the course of Thursday, the parliamentary petitions website collapsed multiple times under the weight of traffic to the plea. 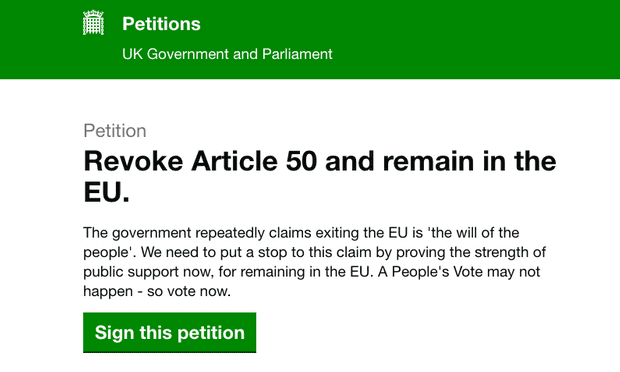 The petition, started in late February by “frustrated remainer” Margaret Georgiadou, began to rapidly gain signatures on Wednesday evening. 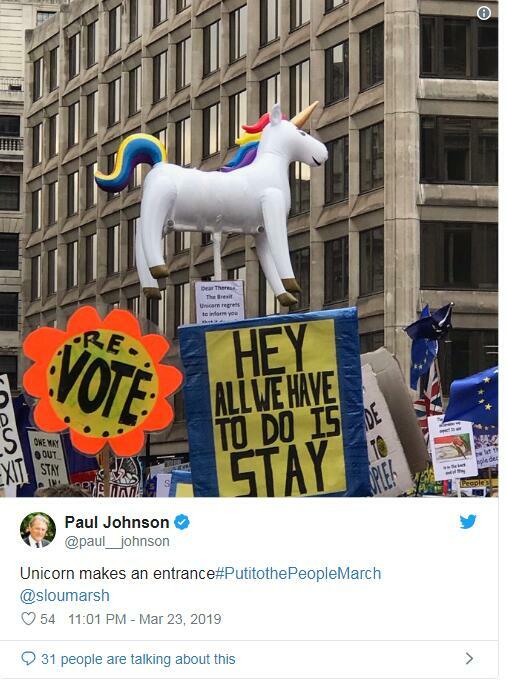 But Theresa May rejected the message of the petition, when a No 10 spokeswoman said on Thursday evening that she worried that cancelling Brexit would cause “potentially irreparable damage to public trust”. A number of British parliamentarians, including senior members of May's own Conservative Party, have wanted her out for some time. 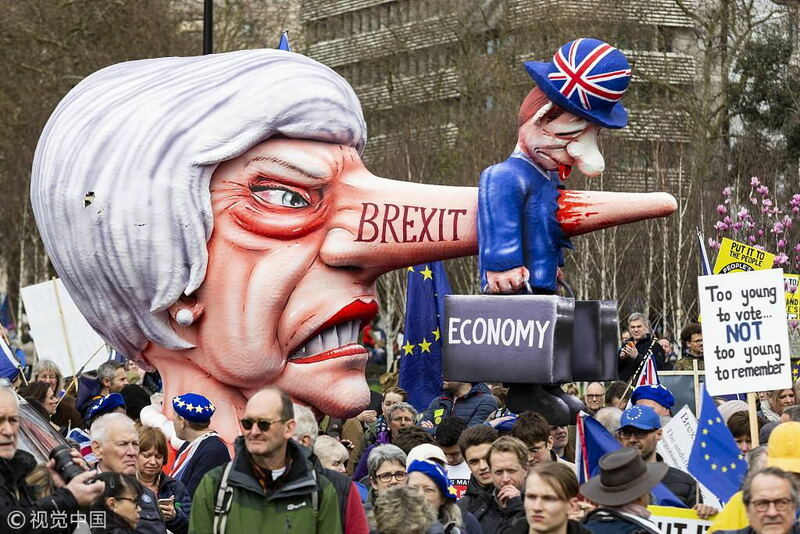 British newspapers on Sunday reported that senior members of May's cabinet could resign to force her resignation. Several backbenchers openly said it was time for the prime minister to quit after recent votes exposed irreconcilable divisions in the Conservative Party from the cabinet down. Ex-Brexit secretary David Davis did not name Ms May but also indicated a new start is needed.